The Apple Watch has created a lot of buzz in the tech scene for the past few months and consumers are finally getting a chance to buy a piece of the landmark product. Customers can now pre-order the pricey watch exclusively on the online Apple Store. Prices range from $349 for the sport model to $17,000 for the luxury model. According to CNN Money, the watches are scheduled to begin shipping on April 24th but due to high demand there is a back-order of up to 6 weeks. Consumers who are hesitant to pull the trigger on an online purchase can schedule an appointment at Apple retail stores to give the watch a test run. The Apple watch comes in three primary models including a sport and luxury version. The sport model is designed with different material and comes with a more basic band. On the other spectrum, we have the luxury model, the Apple Edition. 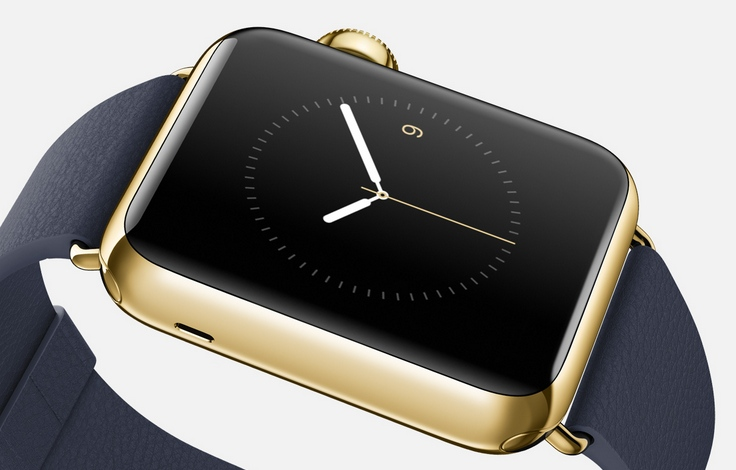 The Edition is designed with 18-karat gold on both the face and band. Apple claims that the watch has an 18 hour battery life based on normal run time. As for total talk time, the watch should have up to 3 hours of battery life. The Apple Watch charges on a special wireless dock that takes 1.5 hours to reach 80% battery life and 2.5 hours to reach 100% battery life. Veloxity will soon introduce wireless charging capabilities on cell phone charging stations that will charge the Apple Watch even faster. The Apple Watch comes with a plethora of features and capabilities. The digital touch screen allows for users to pick up phone calls, read text messages, check emails,track workouts and do pretty much anything a your iPhone can do. Does this mean you don’t need your iPhone anymore? Absolutely not – Apple ensured that it would not cannibalize on its own iPhone sales by requiring that the Apple Watch only works in conjunction with an iPhone. Additional features include a heart-rate monitor and an accelerometer that can calculate how many steps you take and translate that to calories expended. Siri will also be included in the Apple Watch so consumers can continue to ask silly questions. Perhaps the most impressive feature the Apple Watch will have is the ability for users to time travel. Stay tuned for an upcoming hands-on review on the Apple Watch.